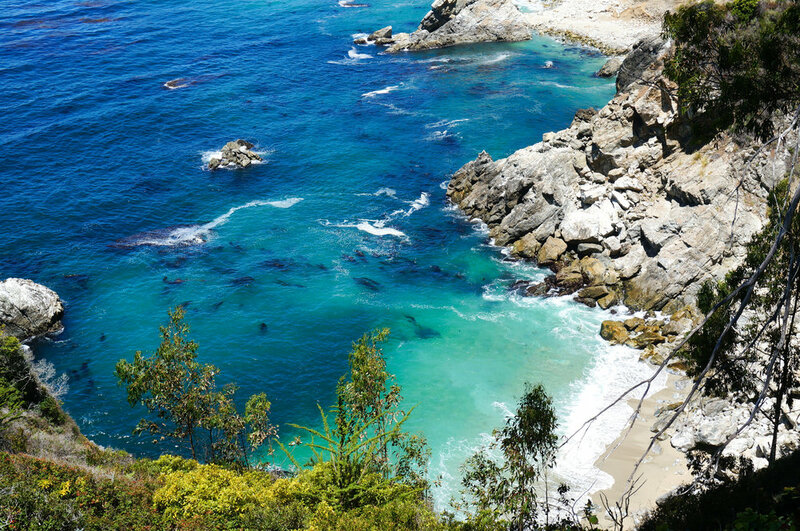 Big Sur was one of my favorite spots on my PCH road trip! 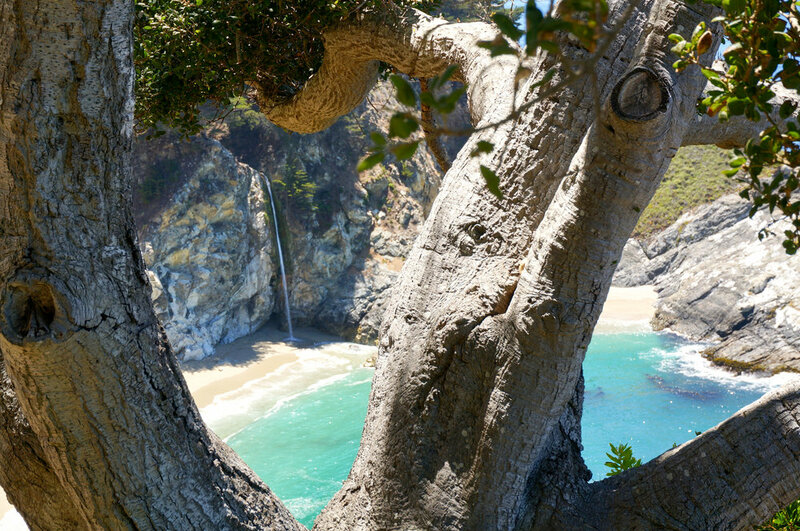 McWay Falls is one of two waterfalls in california that cascade right into the ocean. The waters are bright turquoise and surrounded by cliffs and trees! I could have taken pictures of it all day! 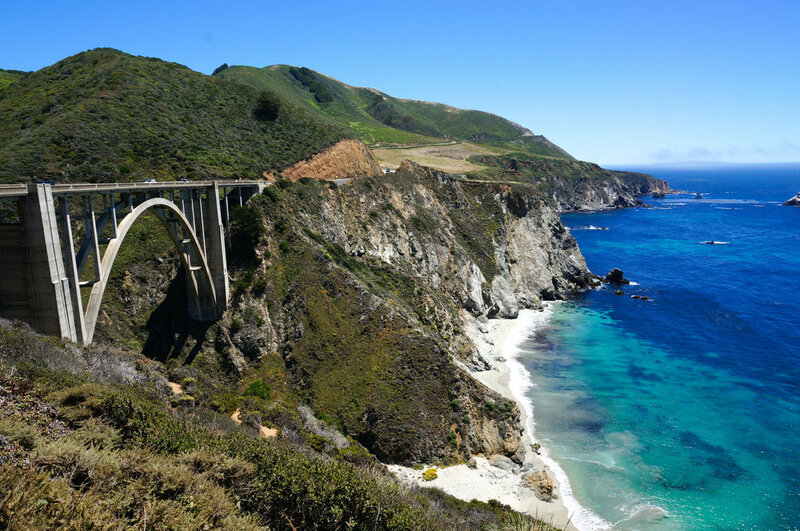 When you're here make sure you check out Bixby Bridge & Pfeiffer State Park. The best time to go would be July & August for warm days! Us Californians calls the month of June "June Gloom" so be careful of all of the fog we get during that month you might miss out on the killer views driving down the windy scenic road.